Nissan Altima 2013, 2014, 2015, Sedan, Full Interior Kit, 56 Pcs. Nissan Altima 2008, 2009, 2010, 2011, 2012, 2013, Coupe, With Navigation System Or With 4.3 Inch Radio With Backup Camera, With Automatic Transmission, Full Interior Kit, 42 Pcs. Nissan Altima 2008, 2009, 2010, 2011, 2012, 2013, Coupe, W/o Navigation System, With Manual Climate Control, With Automatic Transmission, Full Interior Kit, 39 Pcs. Nissan Altima 2010, 2011, 2012, 2013, Coupe, W/o Navigation System, With Digital Climate Control, With Automatic Transmission, Full Interior Kit, 39 Pcs. Nissan Altima 2008-2009, Coupe, W/o Navigation System, With Digital Climate Control, With Automatic Transmission, Full Interior Kit, 39 Pcs. Nissan Altima Sedan 2016, 2017, 2018, Full Interior Kit, 44 Pcs. Nissan Altima 2010, 2011, 2012, Sedan, W/o Navigation System, With Digital Climate Control, With Automatic Transmission, Full Interior Kit, 37 Pcs. Nissan Altima 2007, 2008, 2009, 2010, 2011, 2012, Sedan, With Navigation System, With Automatic Transmission, Full Interior Kit, 38 Pcs. Nissan Altima 2007, 2008, 2009, 2010, 2011, 2012, Sedan, W/o Navigation System, With Manual Climate Control, With Automatic Transmission, Full Interior Kit, 35 Pcs. Nissan Altima 2007, 2008, 2009, Sedan, W/o Navigation System, With Digital Climate Control, With Automatic Transmission, Full Interior Kit, 35 Pcs. Nissan Altima 2005-2006, Sedan, SER Model, Without Navigation, Manual, Full Interior Kit, 53 Pcs. Nissan Altima 2005-2006, Sedan, SER Model, Without Navigation, Automatic, Full Interior Kit, 55 Pcs. Nissan Altima 2013, 2014, 2015, Sedan, Basic Interior Kit, 33 Pcs. Nissan Altima 2005-2006, Sedan, Regular, Without Navigation, Automatic, Full Interior Kit, 57 Pcs. Nissan Altima 2005-2006, Sedan, Regular, Without Navigation, Manual, Full Interior Kit, 55 Pcs. Nissan Altima 2002, Full Interior Kit, Automatic, 34 Pcs. Nissan Altima 2003-2004, Sedan, Full Interior Kit, Automatic, 34 Pcs. Nissan Altima 2002, Full Interior Kit, Manual, 33 Pcs. Nissan Altima 2003-2004, Sedan, Full Interior Kit, Manual, 33 Pcs. Nissan Altima 2005-2006, Interior Dash Kit, Sedan, Regular, Without Navigation, With OEM, 49 Pcs. Nissan Altima Sedan 2016, 2017, 2018, Basic Interior Kit, 27 Pcs. Nissan Altima 1993, Full Interior Kit, Automatic, Without Clock, 26 Pcs. Nissan Altima 1994, 1995, 1996, 1997, Full Interior Kit, Manual, With Clock, 27 Pcs. Nissan Altima 1994, 1995, 1996, 1997, Full Interior Kit, Automatic, With Clock, 27 Pcs. Nissan Altima 1993, Full Interior Kit, Manual, With Clock, 26 Pcs. Nissan Altima 1993, Full Interior Kit, Automatic, With Clock, 26 Pcs. Nissan Altima 1994, 1995, 1996, 1997, Full Interior Kit, Manual, Without Clock, 27 Pcs. Nissan Altima 1994, 1995, 1996, 1997, Full Interior Kit, Automatic, Without Clock, 27 Pcs. Nissan Altima 1993, Full Interior Kit, Manual, Without Clock, 26 Pcs. Nissan Altima 2002, 2003, 2004, 2005, 2006, Exterior Trim Kit, 25 Pcs. Nissan Altima 1998, 1999, 2000, 2001, Interior Dash Kit, Automatic, With Door Panels, 16 Pcs. Nissan Altima 1998, 1999, 2000, 2001, Interior Dash Kit, Manual, With Door Panels, 16 Pcs. Nissan Altima 2003-2004, Sedan, Full Interior Kit, 25 Pcs., OEM Match. Nissan Altima 2005-2006, Sedan, SER Model, Without Navigation, Basic Interior Kit, 13 Pcs. Nissan Altima 2010, 2011, 2012, Sedan, W/o Navigation System, With Digital Climate Control, Basic Interior Kit, 17 Pcs. Nissan Altima 2003-2004, Sedan, Basic Interior Kit, 17 Pcs. Nissan Altima 2002, Basic Interior Kit, 17 Pcs. Nissan Altima 2005-2006, Sedan, Regular, Without Navigation, Basic Interior Kit, 15 Pcs. Nissan Altima 1998, 1999, 2000, 2001, Full Interior Kit, OEM Match, 13 Pcs. Nissan Altima 2008, 2009, 2010, 2011, 2012, 2013, Coupe, With Navigation System Or With 4.3 Inch Radio With Backup Camera, Basic Interior Kit, 18 Pcs. Nissan Altima 2008, 2009, 2010, 2011, 2012, 2013, Coupe, W/o Navigation System, With Manual Climate Control, Basic Interior Kit, 15 Pcs. Nissan Altima 2007, 2008, 2009, Sedan, W/o Navigation System, With Digital Climate Control, Basic Interior Kit, 15 Pcs. Nissan Altima 2010, 2011, 2012, 2013, Coupe, W/o Navigation System, With Digital Climate Control, Basic Interior Kit, 15 Pcs. Nissan Altima 2008-2009, Coupe, W/o Navigation System, With Digital Climate Control, Basic Interior Kit, 15 Pcs. Nissan Altima 2007, 2008, 2009, 2010, 2011, 2012, Sedan, With Navigation System, Basic Interior Kit, 18 Pcs. Nissan Altima 2007, 2008, 2009, 2010, 2011, 2012, Sedan, W/o Navigation System, With Manual Climate Control, Basic Interior Kit, 15 Pcs. Nissan Altima 1998, 1999, 2000, 2001, Interior Dash Kit, Automatic, Without Door Panels, 12 Pcs. Nissan Altima 1998, 1999, 2000, 2001, Interior Dash Kit, Manual, Without Door Panels,12 Pcs. Nissan Altima 2007, 2008, 2009, 2010, 2011, 2012, Exterior Kit, Full Interior Kit, 17 Pcs. Nissan Altima Sedan 2013, 2014, 2015, 2016, 2017, 2018, Stainless Steel Pillar Posts, 8 Pcs. Nissan Altima Sedan 2013, 2014, 2015, 2016, 2017, 2018, Exterior Kit, 8 Pcs. Nissan Altima Sedan 2002, 2003, 2004, 2005, 2006, Stainless Steel Pillar Posts, 6 Pcs. Nissan Altima 2002, Interior Dash Kit, Optional, Above Center Air Vent Accent, 1 Pcs. Nissan Altima Sedan 2007, 2008, 2009, 2010, 2011, 2012, Stainless Steel Pillar Posts, 6 Pcs. Nissan Altima 2003-2004, Interior Dash Kit, Sedan, Optional, Above Center Air Vent Accent, 1 Pcs. Nissan Altima Sedan 1998, 1999, 2000, 2001, Stainless Steel Pillar Posts, 6 Pcs. Nissan Altima Sedan 2002, 2003, 2004, 2005, 2006, Stainless Steel Pillar Posts, 4 Pcs. Nissan Altima 2007, 2008, 2009, 2010, 2011, 2012, Basic Exterior Kit, 6 Pcs. Nissan Altima 1998, 1999, 2000, 2001, Exterior Kit, 6 Pcs. Nissan Altima 2007, 2008, 2009, 2010, 2011, 2012, Sedan, Optional Overhead Console Interior Kit, 7 Pcs. Nissan Altima Sedan 2007, 2008, 2009, 2010, 2011, 2012, Stainless Steel Pillar Posts, 4 Pcs. Nissan Altima Coupe 2008, 2009, 2010, 2011, 2012, 2013, Exterior Kit, 5 Pcs. Nissan Altima Sedan 2013, 2014, 2015, 2016, 2017, 2018, Optional Overhead Console Interior Kit, 7 Pcs. Nissan Altima 2007, 2008, 2009, 2010, 2011, 2012, Interior Dash Kit, Sedan, Optional Rear Center Console Without Air Vents, 2 Pcs. Nissan Altima 2008, 2009, 2010, 2011, 2012, 2013, Coupe, Optional Door Sills Interior Kit, 2 Pcs. 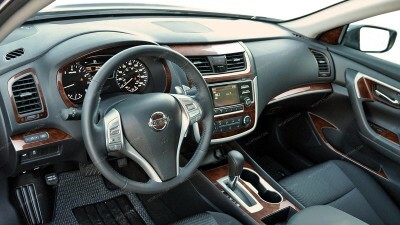 Nissan Altima 2007, 2008, 2009, 2010, 2011, 2012, Interior Dash Kit, Sedan, Optional Rear Center Console With Air Vents, 2 Pcs. Nissan Altima 1993, 1994, 1995, 1996, 1997, Interior Dash Kit, Cluster, 1 Pcs. Nissan Altima Coupe 2008, 2009, 2010, 2011, 2012, 2013, Stainless Steel Pillar Posts, 4 Pcs. Nissan Altima 2002, 2003, 2004, Interior Dash Kit, Sedan, Optional, Front Speakers Accents, 2 Pcs. Nissan Altima 2002, 2003, 2004, Interior Dash Kit, Sedan, Optional, Rear Speakers Accents, 2 Pcs. Nissan Altima Sedan 2013, 2014, 2015, 2016, 2017, 2018, Exterior Kit, Optional Fuel Door, 1 Pcs.